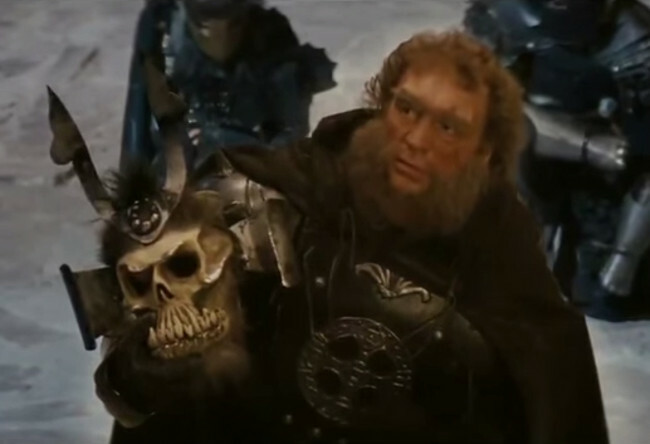 Pat Roach was a great character actor and stunt man, primarily recognizable in a slew of films from the 1980’s and 1990’s. Pat started out in England as a wrestler and because of his huge stature at 6’5″ and over 250lbs he became sought after as an actor for big beefy roles. His first few roles were for Stanley Kubrick in A Clockwork Orange and Barry Lyndon, where he played a bouncer and a brawler, respectively. Pat’s career would blossom and his roles would get larger and because he was very physical, would do his own stunts over the years. Also, who could they find of his size to body double for him? 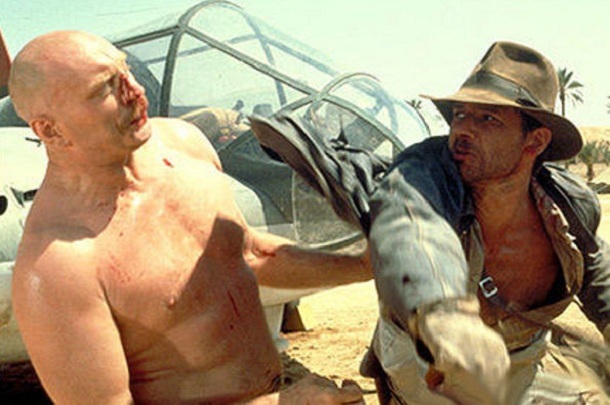 His most recognizable roles were in the Indiana Jones movies, where he played the airplane mechanic that Indiana gets into a fight with as Marion and Indy try to chase after the Ark of the Covenant, then a giant Thuggee Guard in Temple of Doom and then as Gestapo in the Last Crusade. He unfortunately died of throat cancer in 2004 before he could appear in the last one.